I started out 2019 with a new niche in my photography business — personal brand photography!! The Time Rich is a joint venture by my friend Maghan and my new friend Summer! They are creating an online course to help you hire a Virtual Assistant (VA).. The process starts with evaluating how you currently spend your time, and determining in what ways you could use a VA. I’m so excited to see this come together for them, and I can’t wait to take the course myself! We brainstormed their session prior to our shoot, and they told me that the golden yellow color that you see predominantly in these photos is their main color, along with black. I kept seeing shade of blue too though, so we picked up on that a bit as we maneuvered through the session. We started out with the brilliant natural light and bright white tables of Hopscotch Cakes in Champaign, and then continued the second part at Maghan’s condo. That included a stop off at Summer’s van which she lives in full time while she tours the nation’s national parks system! I was also privileged to meet both of their dogs — Rocky (Summer’s) and Gabe (Maghan & Kyle’s). I’m really happy with how this session turned out, and I think we truly were able to hone in on both of their personalities and their brand. 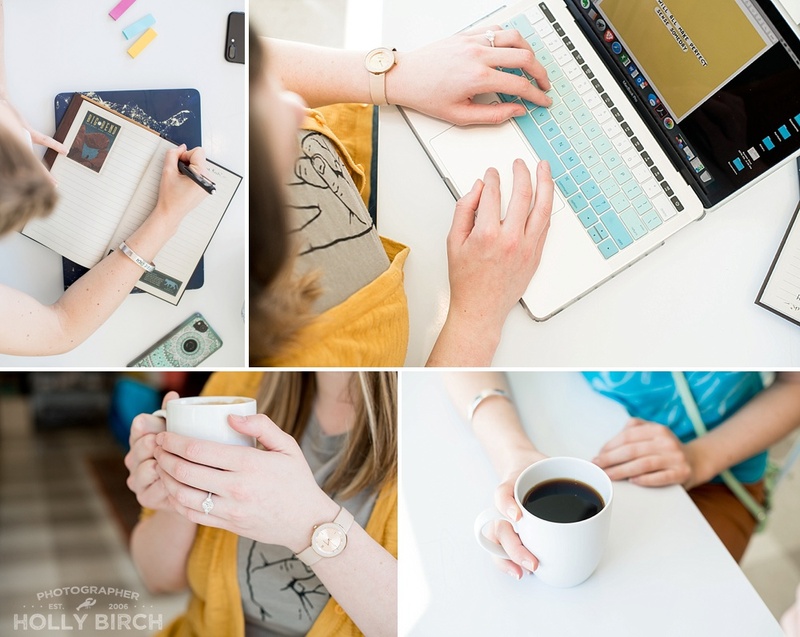 With brand photography, it is especially important for things to look cohesive, while also telling a story and keeping within a theme or color scheme. I like to tell my brand clients that my main goal is to give them a few photos of themselves (ideally 1-2 out of 10 should be of YOU! ), and also a solid stockpile of stock photos that are personalized for your business or brand. I think we definitely accomplished that! To schedule your own FREE 15-minute brand photography consultation, shoot me an email! Yes! I want a free 15-minute brand consultation! Newer PostFriday Fives | Favorite movies!